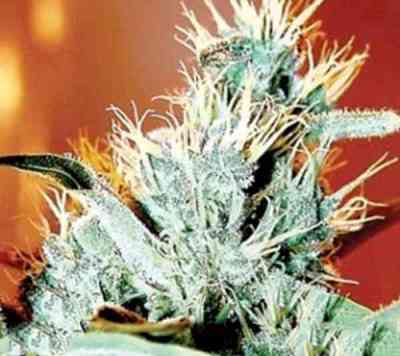 KC Brains Leda Uno is one of the most powerful marijuana strains. She is a stable hybrid of a KC 33 and a female Brazilian. This superb cross combination make her ideal for both indoor and outdoor growing and can bring a variety to anyone's cannabis garden. Being sativa dominated, Leda Uno marijuana strain behave like a typical sativa. Her seeds produce tall thin plant with narrow light green leaves and chunky thick buds. 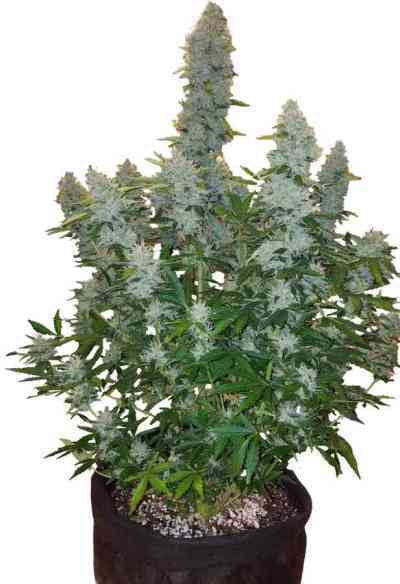 Her average size can reach up to 3 m when grown outside; however, inside varieties of this marijuana will keep their height under control and won't stretch taller than 150 cm. It takes Leda Uno sativa a bit longer to grow and mature; she also requires more light. Medicine produced from this cannabis lower CBD and higher THC counts which produces a more clear headed, energetic type of high. The flowering stage is relatively short and lasts only 8 to 10 weeks outside, whilst indoor remains from 6 to 8 weeks indoor. KC Brain cannabis seeds are thoroughly selected and can guarantee almost 90% of germination. This marijuana variety is very resistant to pests. When flowering, Leda Uno seeds produce will smell beautifully, but will not stink you out of your home. After her buds reach their maturing stage, they will start spreading more intense and incredibly pleasant lemon aroma which will also remain in her dried product. Lena Uno is a really great yielder, she produce as much as 800 gr. of a quality product per plant when grown outside, inside yield will make as high as 150 gr. per plant. The dried product is very easy to keep and has a long shelf life. The taste of the smoke is very smooth with a sweet aftertaste, the high is very strong. It gives you an unusually clear buzz and a slightly delayed effect. Smoking Lena Uno cannabis has no hangover or bad effects.